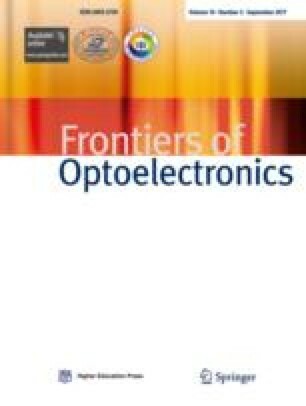 A method for determining and correcting distortions in spectral-domain optical coherence tomography images caused by medium dispersion was developed. The method is based on analysis of the phase distribution of the interference signal recorded by an optical coherence tomography device using an iterative approach to find and compensate for the effect of a medium’s chromatic dispersion on point-spread function broadening in optical coherence tomography. This enables compensation of the impact of medium dispersion to an accuracy of a fraction of a radian (units of percent) while avoiding additional measurements and solution of the optimization problem. The robustness of the method was demonstrated experimentally using model and biological objects. Vasily A. Matkivsky recived his M.S. degree from Lobachevsky State University of Nizhni Novgorod in 2012. His scientific interests are digital holography, full field and spectral domain OCT, and aberration compensation. His current work is aberration compensation in full field OCT.
Alexander A. Moiseev, Ph.D., recieved his Master degree in Physics in 2008 from Advanced School of General and Applied Physics of Nizny Novgorod State University. He recieved his Ph.D. degree in Radiophysics in 2014 from Institute of the Applied Physics of the Russan Academy of Sciences. His scientific interests are optical coherence tomography system and applications development, signal processing and image enhancement. Sergey Yu. Ksenofontov, Ph.D., graduated from Nizhny Novgorod University in 1993. He recieved his Ph.D. degree in Environment Monitoring Devices since 2017. His research interests are optical measurement techniques, optical coherence tomography, computationally efficient algorithms. His current work is optical solutions for optical coherence tomography. Irina V. Kasatkina received her B.S., M. S., and Ph.D. degrees from the Lobachevsky State University of Nizhni Novgorod, Russia in 2000, 2002, and 2005, respectively, all in Radiophysics. She is currently working in the Institute of Applied Physics of the Russian Academy of Sciences. Her scientific interests are nonlinear optics, optical materials, coherent optics and optical tomography. Grigory V. Gelikonov, Ph.D., graduated from Nizhny Novgorod University in 1992. He recieved his Ph.D. degree in Radiophysics since 2007. His research interests are developing and creation of single mode fiber elements, laboratory and clinical imaging of animal and human tissues, experimental study of middle-infrared laser ablation of biotissue with OCT monitoring, development of improved OCT technique, including cross-polarization OCT and two-wavelength OCT. His current work is multymodal optical coherence tomography, clinical OCT approaches. Dmitry V. Shabanov, Ph.D., graduated from Nizhny Novgorod University in 1992. He recieved his Ph.D. degree in Radiophysics since 2011. His research interests are optical measurement techniques, optical digital holography, electronics, computer modeling. His current work is optical solutions for optical coherence tomography. Pavel A. Shilyagin, Ph.D., graduated from Nizhny Novgorod University in 2005, master of Radiophysics. He recieved his Ph.D. degree in Radiophysics since 2009. His research interests are optical measurement techniques, optical coherence tomography, optical instrumentation, medical physics. His current work is optical solutions for optical coherence tomography. Valentin M.Gelikonov, Ph.D., D.Sc., currently work at Federal State Budgetary Institution of Science, Institute of Applied Physics of the Russian Academy of Sciences (IAP RAS). He is Head of department “Nanoopics and high precision optical measurements”. He graduated from Nizhny Novgorod University in 1966, engineer with “Radiophysics and electronics” specialization. His scientific degrees: 1985–Ph.D., 2007–D.Sc., he won State Prize of Russian Federation in Science and Technology in 1999. His research interests are natural fluctuations of gas laser, nonlinear laser spectroscopy, fiber-optical interferometry, high precision optical measurements, bioimaging. His current work is polarization effects in optical coherence tomography, multymodal optical coherence tomography. The research in part of the development of the method was supported by the Russian Foundation for Basic Research (Grant No. 15-29-03897). The experimental verification part was supported by the State task for IAP RAS project No. 0035-2014-0018.